1) To make the tart, unroll the pastry and roll it out a little more on a lightly floured surface so that it is big enough to lie a deep rectangular flan tin. Prick the base with a fork and chill for 30 minutes. 2) Preheat the oven to 200°C/400°F/Gas Mark 6. 3) Line the pastry with foil and fill with baking beans or rice. Bake in the oven for 15 minutes, then remove the foil and beans and bake for a further five minutes. Once cooked, remove the pastry from the oven and set aside. 4) Meanwhile, cream the butter and sugar together with an electric hand whisk until pale and creamy. Add the eggs gradually, beating well with each addition. Fold in the ground Crazy Jack Almonds and bake for another 25 to 30 minutes. 5) While the tart is baking, cut the marzipan into 15 equal pieces, then mould each piece into an egg shape. 6) Lay the eggs on top of the cooked tart while it is still hot. Leave to cool, then remove the tart from the tin, dust with icing sugar and cut into squares to serve. 1) Put the flour, eggs, milk and a pinch of salt into a medium sized mixing bowl. Whisk the mixture together to make a smooth batter. 2) Add the Crazy Jack Organic Blueberries and the Crazy Jack Organic Desiccated Coconut to the batter and whisk it in. 3) Add the Sunflower Oil to the bottom of a medium frying pan and using a piece of kitchen towel, wipe across the bottom of the pan so it is well covered. 4) Set the frying pan over a medium heat and when hot, add some of the batter to the pan, tilting it to move the mixture around for a thin and even layer. 5) Cook each side of the pancake for a minute, so that it is golden on each side. 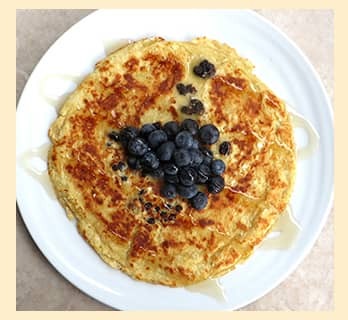 6) Serve your pancakes with some fresh Organic Blueberries and some Organic Golden Syrup. 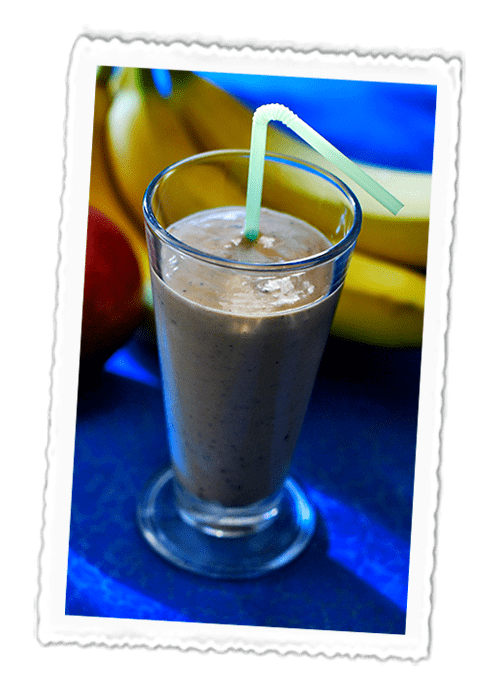 1) Simply pile all the ingredients in a blender, then whizz together and pour. Delicious! 1) Heat the milk, coconut milk and two-thirds of the sugar in a heavy-based saucepan and slowly bring to the boil. 2) Meanwhile, whisk the egg yolks and the remaining sugar together in a glass bowl until pale and creamy. 3) Pour the boiling milk mixture onto the egg yolks, whisking continuously as you do so, then pour the mixture back into the saucepan. 4) Cook over a low heat, stirring with a spoon constantly. Watch the custard carefully and do not let it boil. 5) When the custard has thickened enough to coat the back of a spoon, remove from the heat and pour into a clean bowl. Stir in the Crazy Jack desiccated coconut and cream. 6) Leave to cool, stirring occasionally to prevent a skin forming then, when cool, stir in the rum. Pour this cooled mixture through a fine sieve into a freezer proof container. 7) Freeze for an hour, then whisk and freeze again. Repeat once more, then freeze until ready to serve. 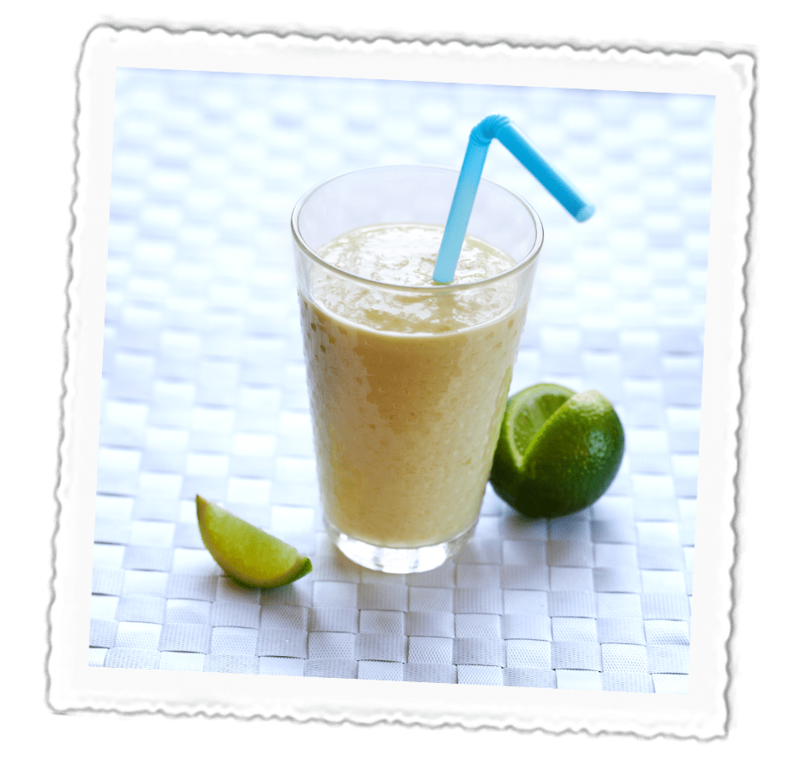 1) Blend the mango, honey, yogurt, milk, coconut milk, Crazy Jack coconut, ice and lime juice in a liquidiser or blender until smooth. 2) Pour into a tall glass and garnish with a lime wedge before serving. 1) Line a baking sheet with foil. 2) Put the Crazy Jack Almonds in a glass bowl and pour over boiling water until they are just covered. Let them sit for 1 minute, then drain, rinse under cold water and drain. Rinse under cold water and then drain again. Pat the almonds dry with kitchen paper and slip the skins off. 3) Place a glass bowl over a pan of simmering water and put the dark chocolate in to melt. Put to one side. 4) In a second and third glass bowl, melt the milk chocolate and white chocolate in the same way. Put to one side. 5) Place the Crazy Jack Almonds on the foil line tray and toast under the grill for five minutes, turning the nuts half way. Let cool, then add the salted peanuts. 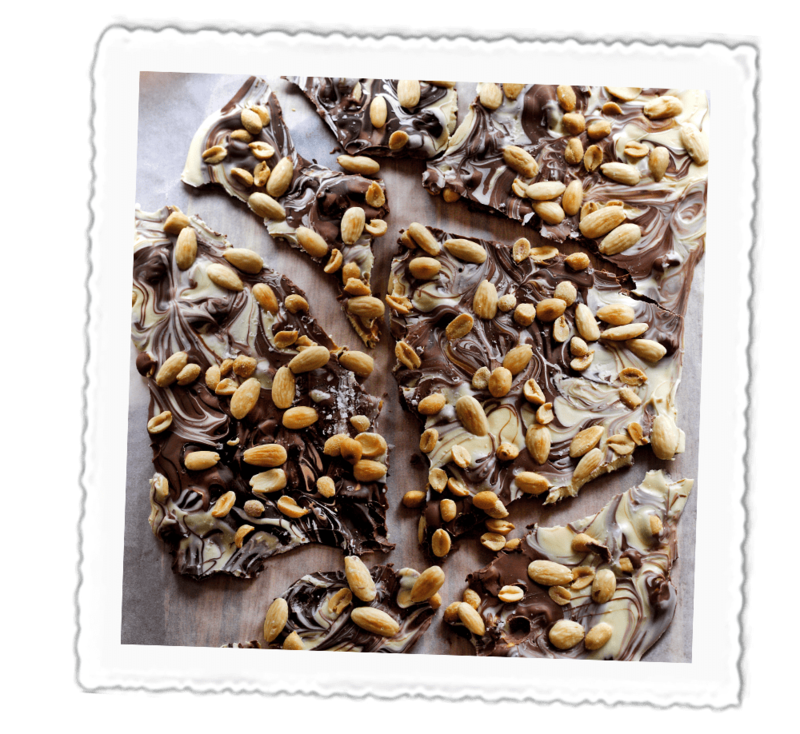 6) Now pour over the three chocolates, each a little at a time, to get a good marbled effect. Sprinkle with a little sea salt. 7) Chill in the fridge until firm, peel off the foil and break into pieces before serving. 1) Put all the ingredients apart from the cider into a saucepan and slowly bring to a simmer, making sure all the sugar is dissolved. Continue to cook for 20 minutes. Leave to cool, then strain the syrup through a very fine sieve. 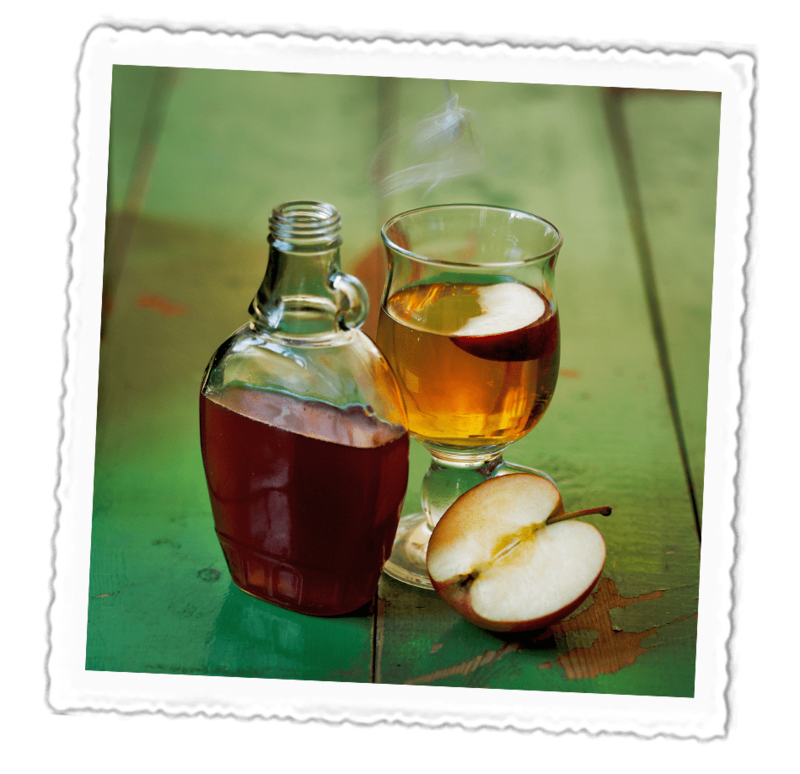 2) Heat the syrup with a litre of cider and serve hot with a slice or two of apple. 1) Put the butter, water and vinegar into a saucepan and heat gently until the butter has melted. 2) Add the sugar and syrup and allow to fully dissolve (this should take around 20 minutes). 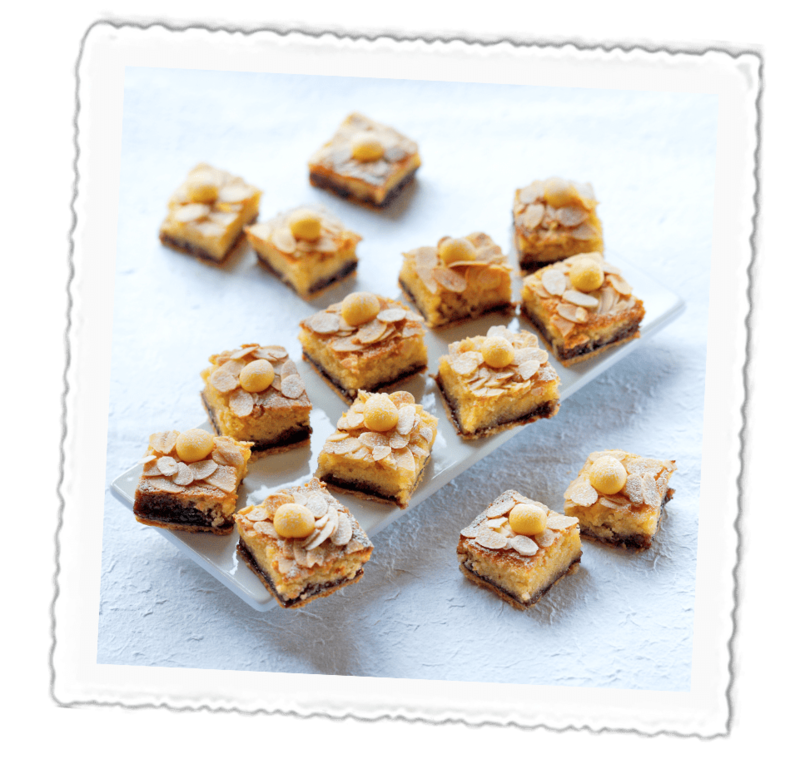 4) Stir in the Brazil nuts and Crazy Jack Figs and pour into a well-greased baking tin. 5) When the mixture has cooled a little, mark the surface into squares with a knife. 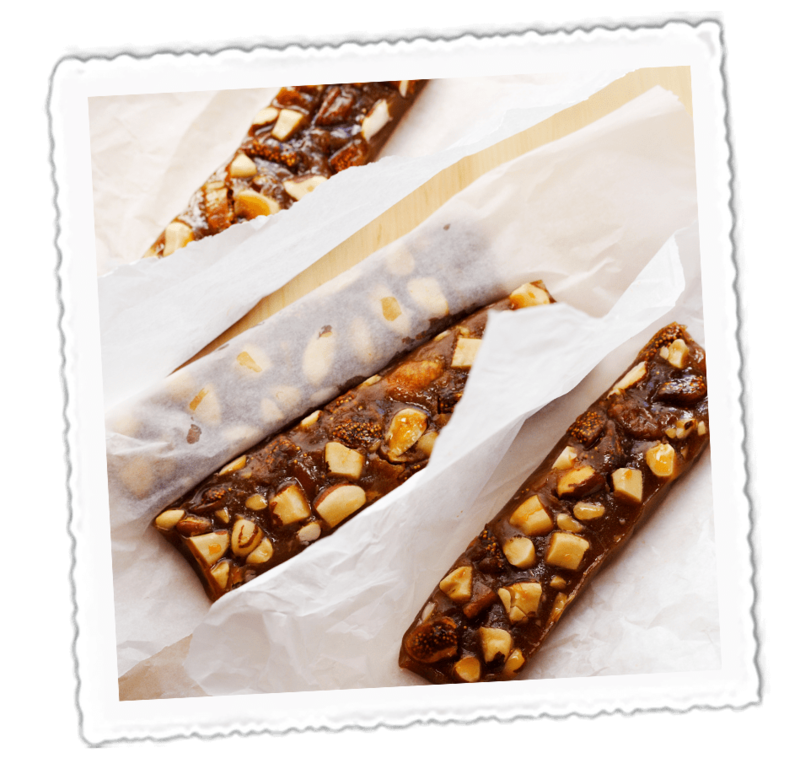 Then, when completely cold, break the toffee into squares and store in an airtight container. 1) Preheat the oven to 180°C/350°F/Gas ark 4 and grease and line a brownie tin. 2) Sift the dry ingredients into a bowl and mix together. Rub in the butter with your fingers until breadcrumbs form. Now add the milk and mix until smooth. 3) Spoon the mixture into the cake tin and bake in the oven for 20 minutes. Remove from the oven and put to one side. 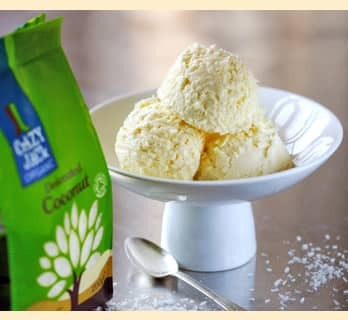 4) Mix the cherries, condensed milk, Crazy Jack coconut, vanilla and lime zest in a bowl until well combined. 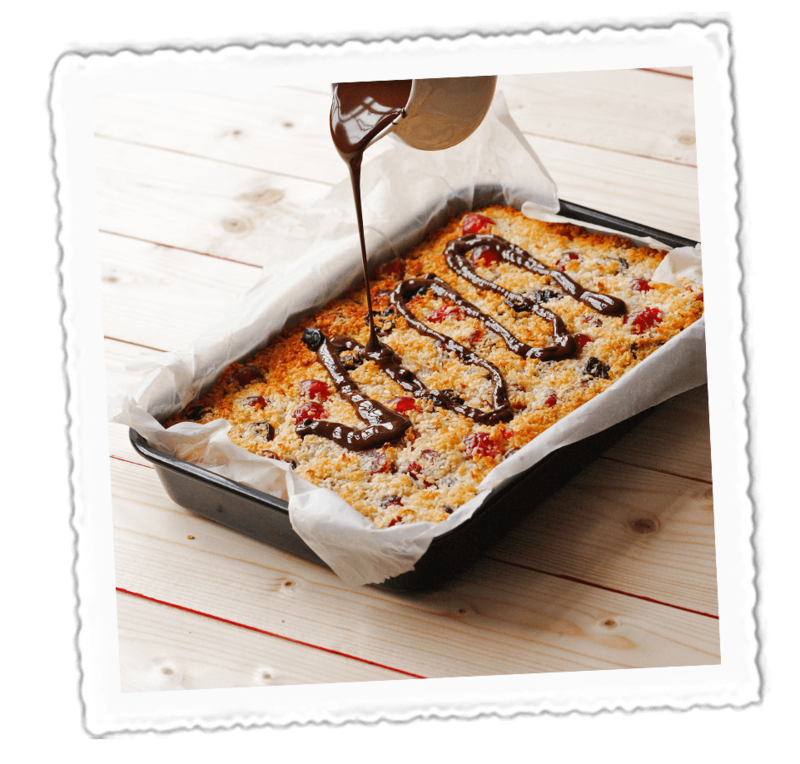 Spoon this cherry mixture onto the chocolate base and put back in the oven for a further 20 minutes. Remove from the oven and set aside to cool. 5) Pour the melted chocolate over the top and spread it evenly using a spoon until the surface is covered, then chill in the fridge for one hour. Cut into squares before serving. 1) To make the doughnuts, sprinkle the yeast over the water in a small bowl. Let stand for 5 minutes. 2) In a separate bowl, gently mix the yeast mixture, milk, caster sugar, salt, egg, butter and flour until a dough forms. Remove from the bowl and knead. 3) Place the dough in a greased bowl and cover with a damp tea towel. Leave in a warm place for 15 minutes to double in size. 4) Gently roll out the dough on a floured surface to 1cm thickness. Cut 7cm rounds with a floured cutter and leave at room temperature until doubled in size again. 5) Heat the oil in a heavy pan until a cube of bread dropped in sizzles and turns golden. Carefully slide the doughnuts into the oil using a spatula. 6) Fry for three minutes on each side until golden brown. Remove and drain on a wire rack. 7) To make the filling, place the Crazy Jack Dates in a pan with the water. Stir in the walnuts. 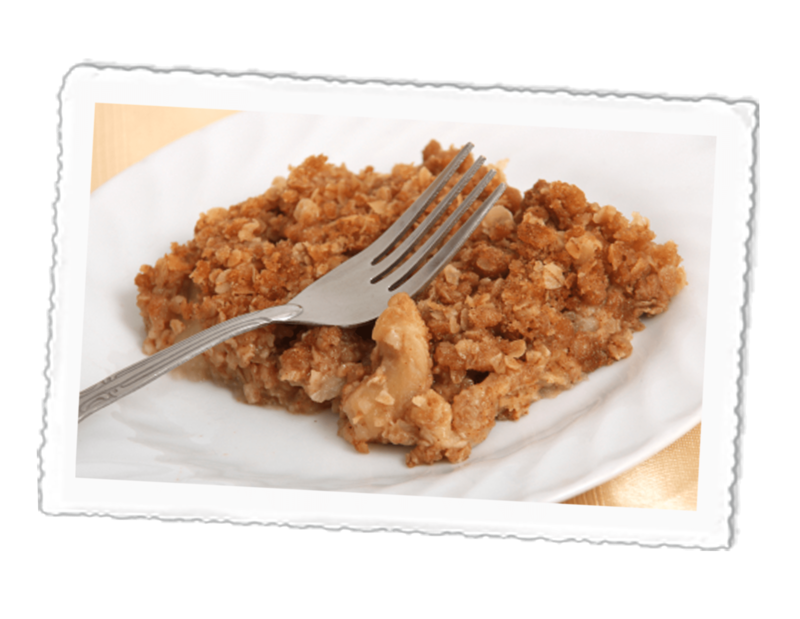 Heat to soften and mash a little with a fork. 8) Spoon the filling into a piping bag fitted with a wide nozzle. Make a hole in the side of each doughnut and pipe in the filling. 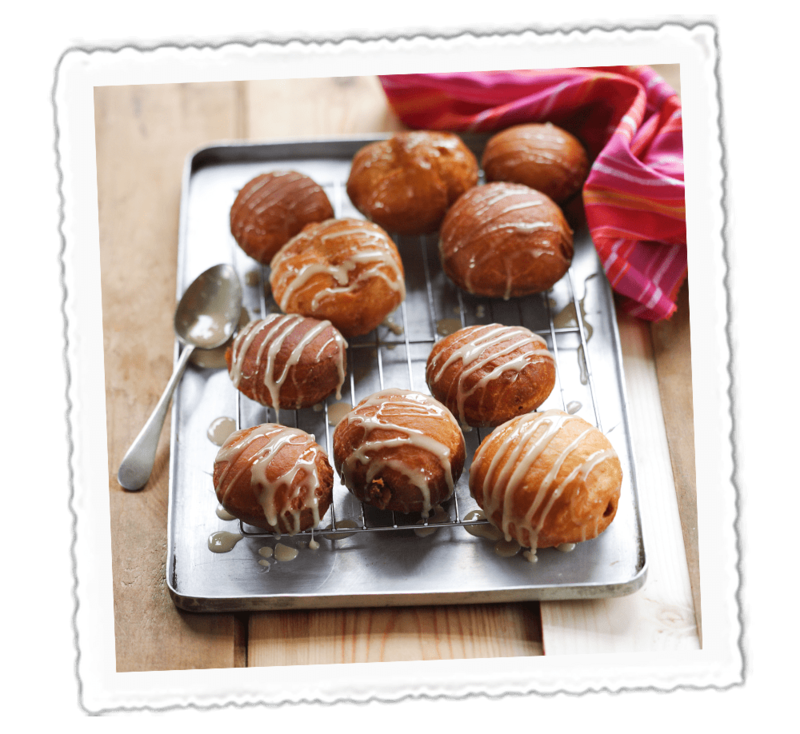 9) Stir the icing sugar and honey together in a bowl then simply drizzle over the doughnuts for a glaze. 1) Preheat the oven to 190°C, Gas Mark 5. Grease two baking sheets. 2) Beat together all the ingredients except the raisins. When well blended, stir in the raisins. 3) Roll heaped teaspoonfuls of the mixture into balls and place on the baking sheets, not too close together. 4) Bake for 15-20 minutes. Cool for 1 minute before transferring to a wire rack to firm up. 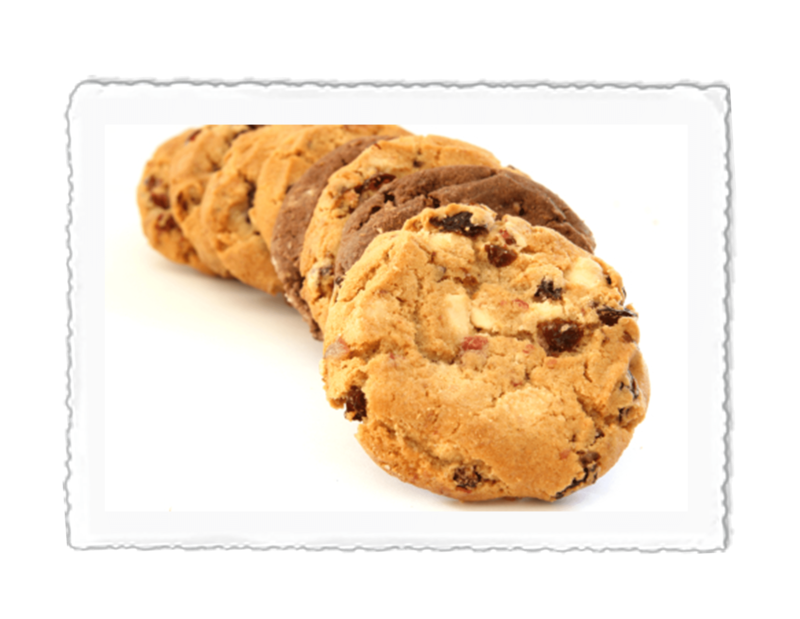 Top Tip: Before adding raisins to a cake, bread or batter mix, roll them in a little flour. It helps prevent them from sinking to the bottom of the mix. 1) Preheat the oven to 180°C, Gas Mark 4. Grease and line a 22cm x 22cm tin. 2) Place flour, oats, cinnamon, baking powder and sugar into a large bowl. Rub the butter into the mixture until it resembles breadcrumbs. Remove half the mixture and set aside. Add the egg and milk to the other half and spread in the tin. 3) Chop the apricots very finely (use a food processor if possible) and add the orange zest. Spread over the base mixture and top with the crumble mixture. 4) Bake for 35 minutes until golden. Cool before cutting. 1) Grease and line a 25cm x 30cm baking tray. 2) In a bowl mix the seeds together. 3) In a medium saucepan combine the sugar, honey and water over a low heat and stir until the sugar dissolves. Using a wet pastry brush, brush down the sugar crystals from the side of the saucepan. 4) Once the sugar is dissolved, bring to the boil and cook until the sugar reaches 150°C. If you don’t have a sugar thermometer, when a teaspoon of sugar mixture is dropped into a glass of cold water it forms a piece of toffee that when snapped breaks with a 'hard crack'. 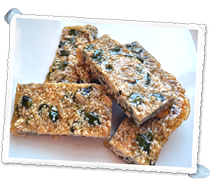 5) Remove from heat, stir in the seeds and quickly pour onto the prepared tray, spreading out the mixture with an oiled spatula. Cool completely before breaking into pieces. 1) Preheat oven to 220°C, Gas Mark 7. 2) In a large bowl, mix the flour, oats, sugar, and mixed fruit. Make a well in the centre. 3) In a small bowl, beat the egg until frothy, and stir in the melted butter and milk. Pour into the well and mix to create a soft dough. 4) Pat the dough out until it is 1 inch thick – no need for a rolling pin! 5) Press out 15 circles using a scone cutter and place on a lightly greased baking tray. 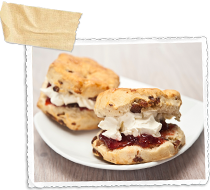 6) Bake for 10 minutes – the scones will be a golden colour on the bottom when they are cooked. 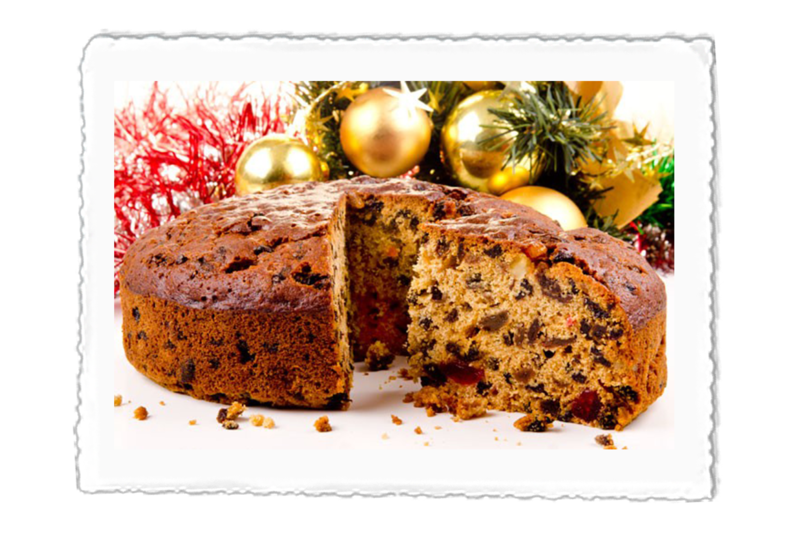 7) Serve warm with clotted cream and jam! 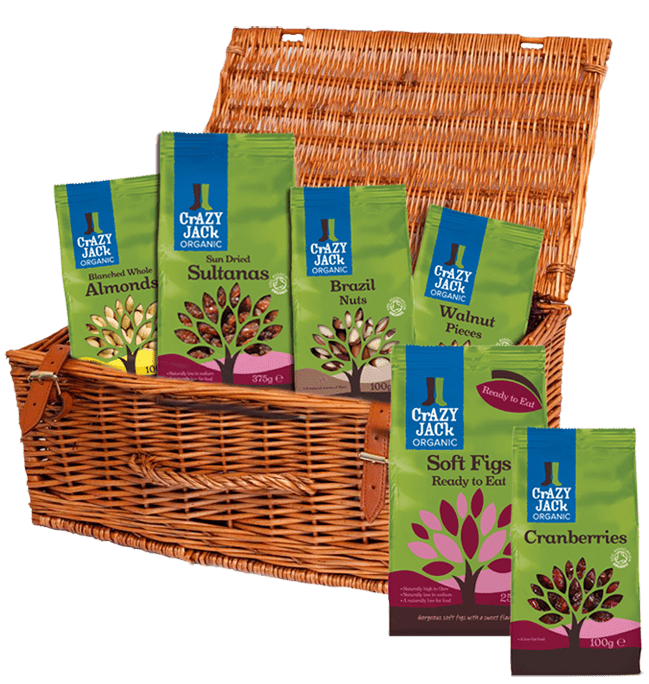 Win Crazy Jack Organic Goodies! The Crazy Jack team will pick their favourite each month. The winner will receive a selection of tasty Crazy Jack Organic goodies, which we will send to you in the post. Get cooking now to win!